Canadian tennis star Milos Raonic, known for his strong serve, will wear Jaguar's logo on his kit. Canadian tennis star Milos Raonic is the newest Jaguar global tennis ambassador, the automaker said Friday. Raonic, currently the world’s No. 7-ranked tennis player, joins Andy Murray of the UK and Japan’s Kei Nishikori as a fellow Jaguar ambassador. The Canadian star, known for his strong serve, will wear Jaguar’s logo on his tennis kit and will work on special projects to support the brand’s commitment to tennis, Jaguar said in a news release. 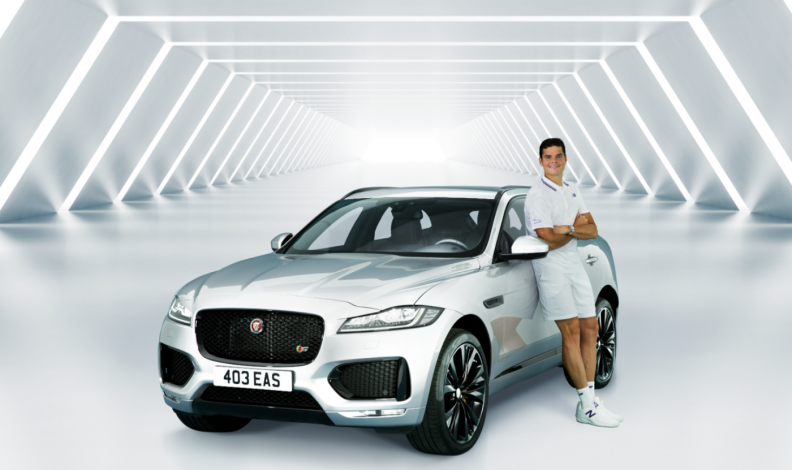 Raonic will work with Jaguar “by supporting its position in tennis across the Canadian, Australian, French and U.S. markets,” the release said. He will also drive a Jaguar F-PACE, the official car of The Championships at Wimbledon. Raonic had a successful run at Wimbledon last year, reaching the men’s final against Murray, after beating Roger Federer in the semifinal. Jaguar is entering its third season as the official car of The Championships at Wimbledon, which run from July 3 to July 16. Jaguar will supply 170 vehicles and make more than 30,000 trips to Wimbledon events during the tournament. Jaguar sold 148,730 vehicles worldwide in 2016, it’s highest number ever and up 77 per cent from 2015. In Canada, the automaker sold 3,034 vehicles in 2016, up 134 per cent from the year before.